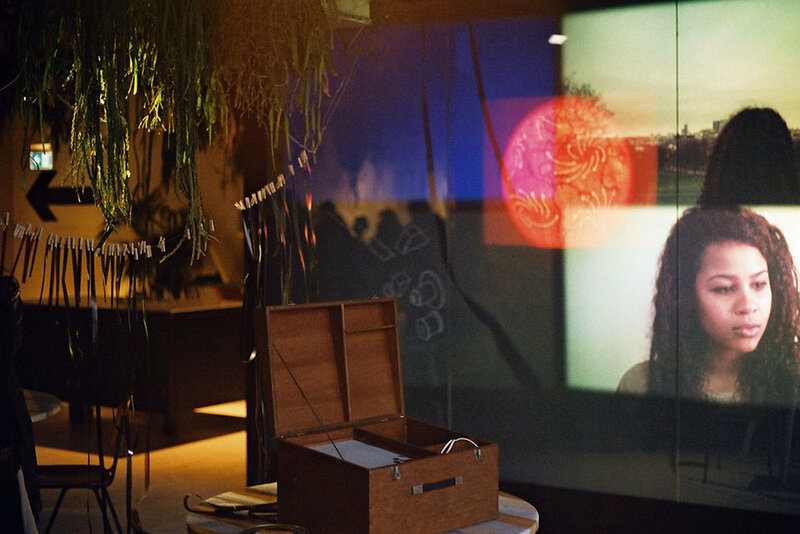 i was asked by mubi to create an installation for the sundance london filmmaker dinner. payment was to be in bitcoin and free mubi so i couldn't refuse. i thought i'd use the opportunity to continue experimenting with the combination of physical and digital processes, whilst creating something unique and meaningful for the occasion. a few years ago i spent a week learning a method of filmmaking from craig baldwin, the legendary US experimental film maker, student of guy debord and founder of other cinema in california. baldwin makes feature films almost entirely from archive material, scavenged from bins out the back of californian film labs, filmed off cinema screens, and other activities that blur or openly question copyright. his view, if i can paraphrase, is that there is no point filming anything anymore because every image you could possibly make already exists. this view was formulated before youtube, and if it was contentious then, it's probably just true now. at the end of our week, baldwin gave me a small archive of film fragments - 16mm strips from feature films, educational docs and the like. 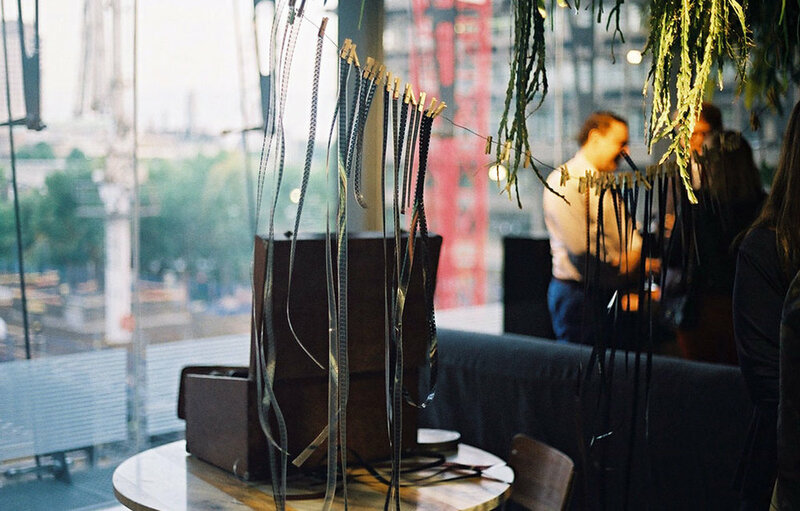 i have a lot of imagery i've created on 16mm that explores or celebrates the materiality of film - those aspects of the image that only exist because, aside from being light on a screen, film has historically also been a physical object. scratching it with your hands causes scratch marks to appear when it's projected. using the wrong chemical mix when processing it will change the colours, bleach the image, or do other things. i wanted the installation to make viewers feel excited about film as a physical medium - not in contrast to digital, but as another element in the expanding vocabulary we have to express ourselves. i fused both of these elements - baldwin's film fragments, and my own handmade film experiments - together in an overlapping image. it played from five projectors, inside a perspex box specially reappropriated for the occasion. on screen, the huge film loops turning inside the box were visible as translucent bands passing through the main image, thanks to the use of a mirror. infront of the box hung plants and also multiple strips of 16mm film, ordered by colour rather than content, and a lightbox. throughout the evening we live-edited these film fragments into loops, aware of their colour but not their content, and then sent them into the box for projection. this meant there was a performative element but also, combined with the lack of sync on 16mm projectors, meant the same image combination was never projected twice.